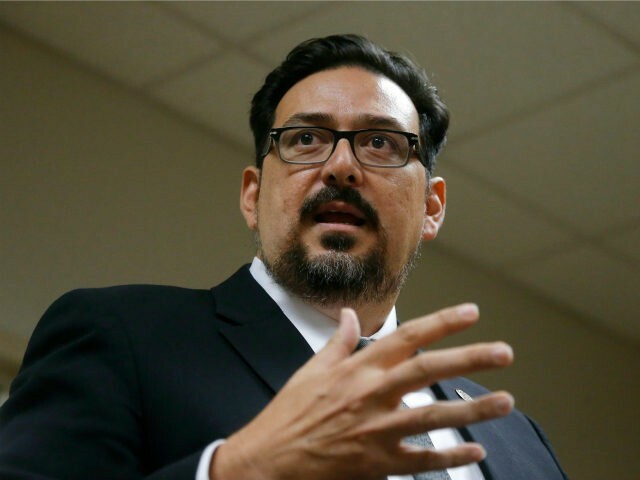 Maricopa County recorder Adrian Fontes defended Manuel Celis-Acosta in 2011 after an arrest for involvement in the Fast and Furious government gun-running scandal. “Before he was elected in 2016 as Maricopa County recorder, Adrian Fontes was an attorney representing clients in narco-terrorism and firearms scandals,” Fox News reported. Celis-Acosta reportedly transferred thousands of guns to the Sinaloa Cartel. This included the firearm used to kill Border Patrol agent Brian Terry. Democrat Fontes also spoke publicly at a November 2016 event featuring Sen. Bernie Sanders and supporting Hillary Clinton. Now Fontes faces accusations of employing corrupt vote-counting practices as Maricopa County delivered a late-breaking lead to Democrat Kyrsten Sinema in the U.S. Senate race with Republican Martha McSally. McSally led the race for two days until large batches of votes in Maricopa County flipped the lead to Sinema. Several county Republican parties sued county recorders in the state over the vote-counting method Fontes was using. Friday, a judge delivered a resolution that gave recorders until Wednesday to resolve issues like verifying signatures of early ballots dropped at polling locations on Election Day. The Republican Party also “criticized the official for opening emergency voting centers the weekend before Tuesday’s election and for mixing disputed ballots with valid ones,” according to the report. Fontes defended Celis-Acosta during the 2011 Fast and Furious-related trial, dismissing his actions as that of a kid and not nefarious. That same year, he defended Emilia Palomina-Robles, who was charged for participation in attempting to “purchase a Stinger missile and other military weapons for a Mexican drug cartel,” according to the report. Fontes downplayed the government’s case, but ultimately the defendant was convicted and sentenced to ten years.